When our team first discussed requirements for the Insights Network platform, it quickly became clear that we must build on a blockchain which is scalable, easy to iterate upon and above all else, secure. After much deliberation between Ethereum and EOS, it was evident that the best way forward for our platform was to embrace EOS and its surrounding ecosystem. Although Ethereum has plans to increase their current limit of approximately 21 transactions per second (specifically, Casper, Plasma and Raiden), we were attracted to the EOS team’s mentality of building a blockchain that was designed to scale from the start. Prior to the inception of Insights Network, we had followed Dan Larimer’s work with BitShares as the technical leader behind the first large scale consumer application powered by a blockchain, Steemit. We were thrilled to see an in-use and scaled out implementation of the Graphene engine, and knew that these experiences would only increase the EOS team’s chances for success of reaching “unlimited transactions per second”. With the slowdown of the Ethereum blockchain during a big ICO or the traction being gained from a viral DApp (e.g. Cryptokitties), we were encouraged by the guarantee that purchasing a set amount of EOS tokens provides our platform with a set amount of computing power and network bandwidth. In short, our team can scale the Insights Network platform with no detrimental effects to users, regardless of whatever else may be running on the EOS blockchain. Being an early adopter is never easy, and inevitably our team reaches roadblocks when developing. We’ve often found our questions answered on the EOS Developers Telegram channel in a timely manner or already covered in the documentation provided by the development team. Given that EOS smart contracts are written in C++ (ultimately compiled to WebAssembly to be deployed on the blockchain), a strongly typed language with an already rich community behind it, we can quickly ascertain if our bugs stem from an improper use of the language itself or are more akin to a smart contract problem. When we had our test contracts finished, we could quickly deploy them to local private testnets as well as the main public testnets using the `eosc` and `eosd` tooling. EOS’s commitment to developers like Insights Network is reflected in their flourishing community on Telegram and rocketing growth to 5,000+ Github stars in a matter of months. Furthermore, it’s encouraging to see the the delivery of the recent Dawn 3.0 release, bringing to fruition features that only existed in the white paper a year ago. 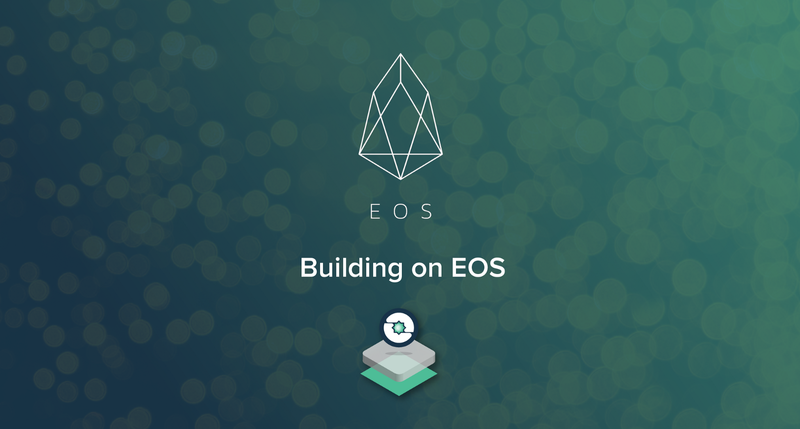 With this new release, there has never been a more exciting time to begin development on the EOS blockchain, and we highly recommend it to new projects looking for an alternative to Ethereum. Scalability and developer commitment mean nothing if we cannot ensure the security of our users’ data. Time is a critical component of security, and in the majority of cases, it is not possible to know if a private key has been compromised until it has been used by a malicious actor. EOS allows us to indicate that certain messages must wait a minimum period of time after being included in a block before they can be applied, during which they can be cancelled. In the case of a data request, if an Insights Network user did not authorize the request, he or she will be notified via text message or email and be provided a window of opportunity to cancel the request before the message is applied to the blockchain. EOS also allows our users to require that some operations are approved by multiple parties. If desired, our users can stipulate that making a data request requires approval by several people within their organization. The entire Insights Network team has been working extremely hard over the past few months to push forward on our delivery timelines. We certainly couldn’t have made as much progress as we have if we didn’t make the early decision to build on the EOS blockchain. The EOS team has created a tremendous developer community — a rich ecosystem that we look forward to further investing in and ultimately being one of the first applications to go live on the EOS main network! A private and secure gateway to digital currency and blockchain technology for everyone.